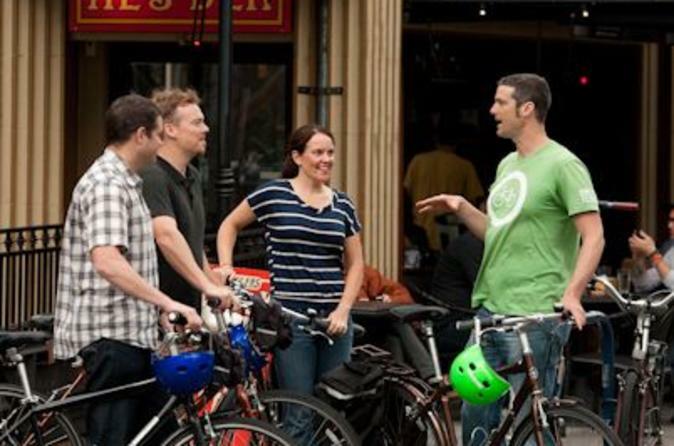 Starting in downtown Portland in either the morning or afternoon, follow your guide on an easy, mostly flat 9-mile (14-km) bike ride through the city. Travel along bike lanes and stop to admire the views of the skyline, the river and the city’s many bridges. While riding along the waterfront, pass the 19th-century brick and cast iron-fronted buildings of Old Town. Continue into bustling Chinatown and on through the Pearl District, where turn-of-the-century warehouses have been turned into art galleries, shops and restaurants surrounded by soaring glass apartment buildings. You’ll make several stops in this interesting area to snap photos and learn some interesting history. Pass Henry Weinhard’s 140-year-old brewery and a fortress-like armory that was turned into a theater. Continue south to downtown Portland, where you’ll pass classic food carts before entering the South Park Blocks. Pedal through Oregon’s largest university, Portland State University, and then turn downhill to the waterfront and ride along the Willamette River. You'll end up back where you started.